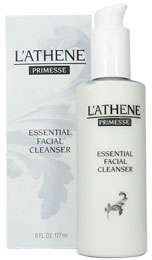 Just a reminder to let you know all that L'athene Facial cleanser giveaway ends on Mar 2, 2011. Only 2 days left! Those who haven't yet entered this giveaway, please do so now immediately. Don't miss this opportunity to win this wonderful Anti-Aging Facial Cleanser worth $45 from L'athene. Enter now! . For some reasons, this time around, the entries are quite less; so your chances of winning is super high! To enter, you have to comment on the giveaway post, be an email subscriber, twitter, share or 'like' it on Facebook/Twitter, submit to any social bookmarking site, blog about the giveaway, follow this blog publicly with Google Friend Connect or 'like' this blog's Facebook page.